​New York Stage is proud of its reputation for delivering first class quality original productions to theaters nationwide and abroad. Founded in 1999, New York Stage Originals was created as a platform to house the creativity and imagination of its founders, Philip Stern & Lisa Hopkins. The first show on the roster "SCROOGE" was presented Off-Broadway at The Lamb's Theatre with subsequent national touring and an engagement at Lincoln Center's Walter Reade Theatre. NYSO's latest production Young Dr. Jekyll received a workshop production at Proctor's Theater in Schenectady in June 2018 and is available for touring in the 2019-20 Season.Stern's musical comedy adaptation of Midsummer Night's Dream "DREAM" premiered at The Spencer Theatre in NM and was revamped in 2013 to include aerial silks. NY Stage's latest show "SING!" is a concept show about the reasons we sing and the power of the human voice. New York Stage is proud of its reputation for quality and has a mandate to continue to create new original theatrical productions to its roster and to develop relationships with presenters who want new, exciting, and accessible theater, rich with music & dance, for all ages. 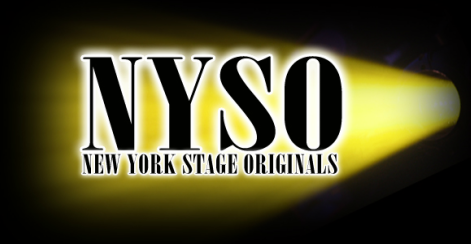 NYSO is a member of The Association of Performing Arts Presenters (APAP), Midwest Arts Alliance, & Western Arts Alliance. Philip has composed original music, scores and orchestrations for live theatre, film, television, concert and dance. His scores for live theatre have played Off-Broadway "Scrooge" (Lamb's Theatre NYC and Lincoln Center's Walter Reade Theatre), toured nationally ("Scrooge", "Dream") and internationally, including the highly acclaimed show "TAP KIDS" (winner of a five star review at The Edinburgh Fringe Festival). Stern has been commissioned to create original music for dance (Canada's prima ballerina Karen Kain, Gypsy Project NYC, Extended Dance Co. , Off-Center Dance Co) Jazz orchestra (BMI Jazz Orchestra) and classical ensembles (Hora Decima Brass) and has written and produced chart topping instrumental music for saxophonist Michael Massaro and harpist Sandra Fann. Film and television credits include multiple-Gemini award-winning series The View From Here, Human Edge and Saturday Night at the Movies. Masterworks, Sunday Night at The Cinema, History, From the Heart, Vista, as well as "The Spacewatch Club" Series for Houston PBS. Philip holds an ARCT in Composition from The Royal Conservatory of Music in Toronto. Lisa directed & choreographed the internationally acclaimed "TAP KIDS" (winner of a five star review at The Edinburgh Fringe Festival). “Scrooge”, (Off-Broadway in NYC at The Lambs Theater and Lincoln Center's Walter Reade Theatre.) “Dream” and "SING!". Other credits include “Talkies” at the Century Center in NYC, “Murder They Danced“ at Toronto’s Premiere Dance, “1940’s Radio Hour” at The Emelin Theater in New York. Lisa assisted choreographer Kathleen Marshall on the Broadway revival of Stephen Sondheim’s “Follies” where she also acted as coach to leading man Treat Williams. She received a Scenie Award and a Los Angeles Theatre Ovation nomination for her choreography on “Dames at Sea” at The Colony Theatre in Burbank where she also choreographed the world premiere of the new musical “Falling For Make Believe”. Lisa choreographed “Irving Berlin’s White Christmas” at San Diego Music Theatre and "Girl Crazy" for MTG at The Alex Theatre. She is currently dance faculty at AMDA Conservatory for the Performing Arts Los Angeles campus. Lisa holds an Honors BFA in Dance from York University, in Toronto, Canada.